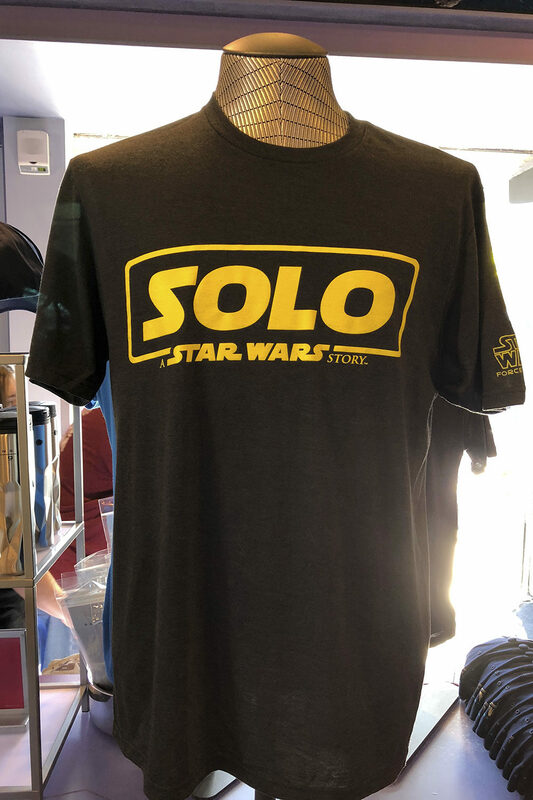 What a time to be a Star Wars fan. 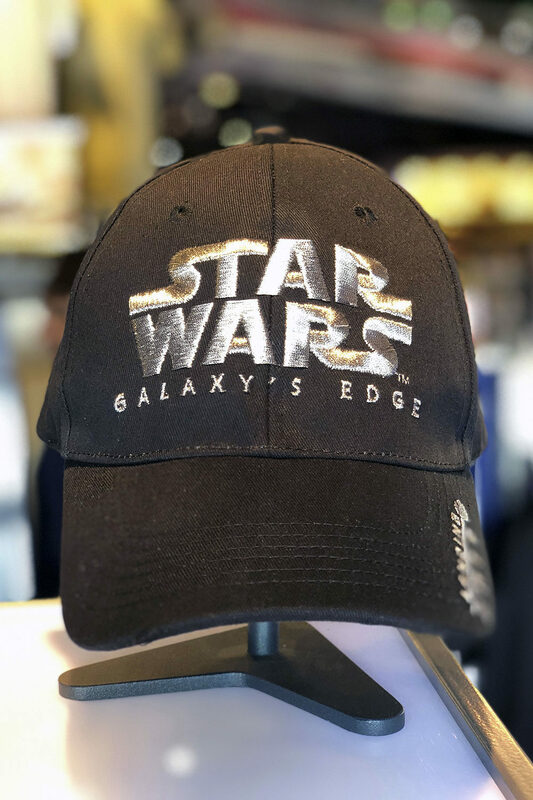 We recently saw the release of Star Wars: The Last Jedi and an update of Star Tours: The Adventures Continue, but wait, there’s more! 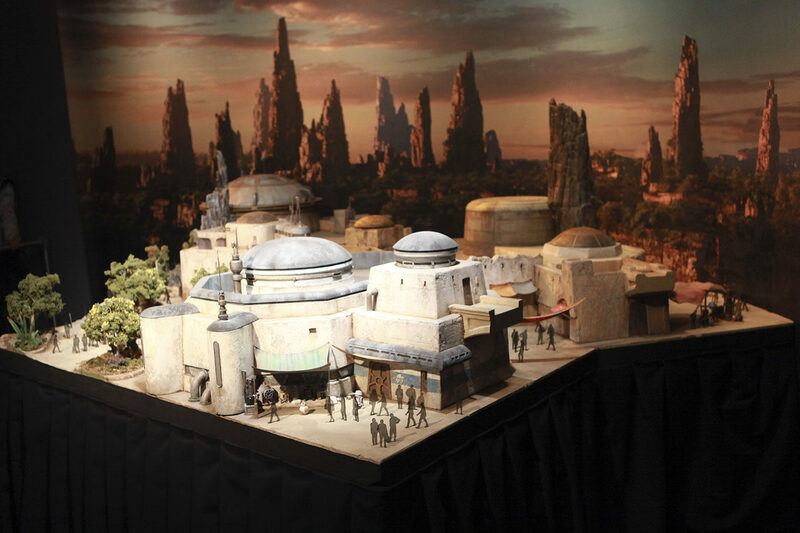 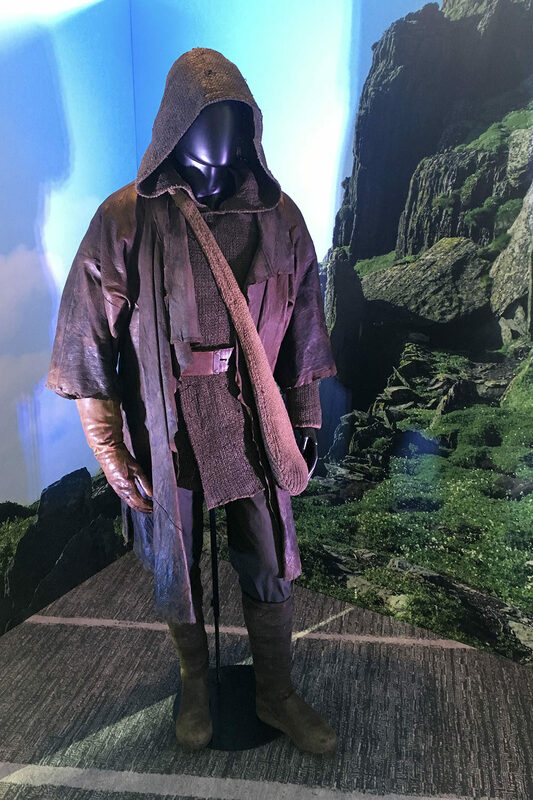 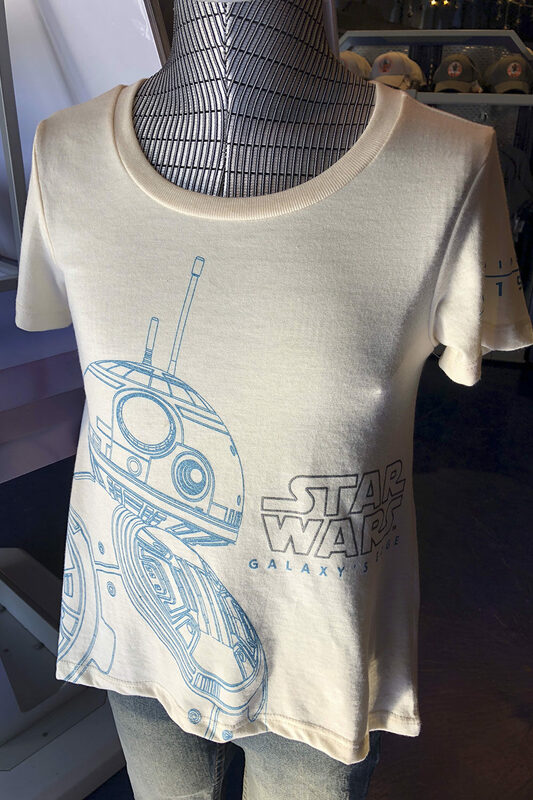 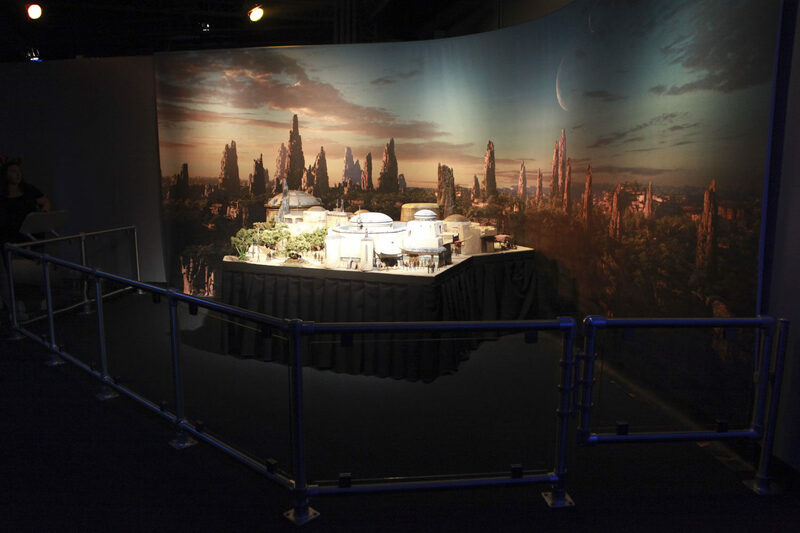 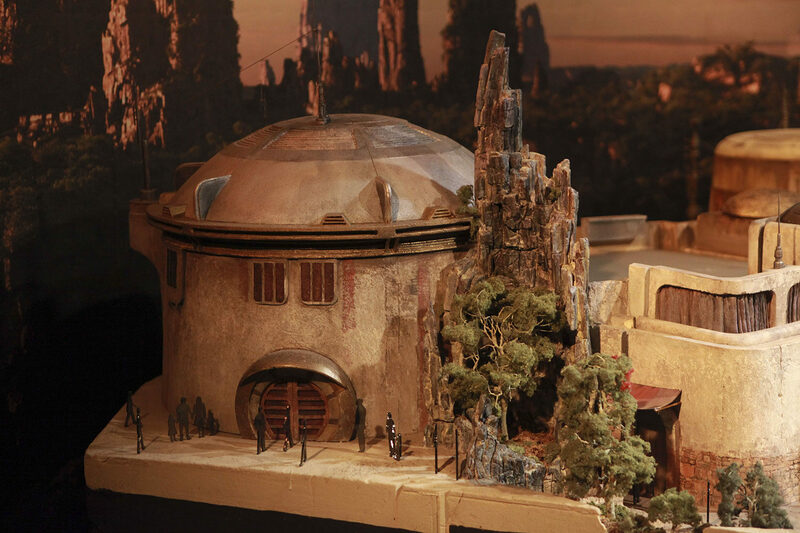 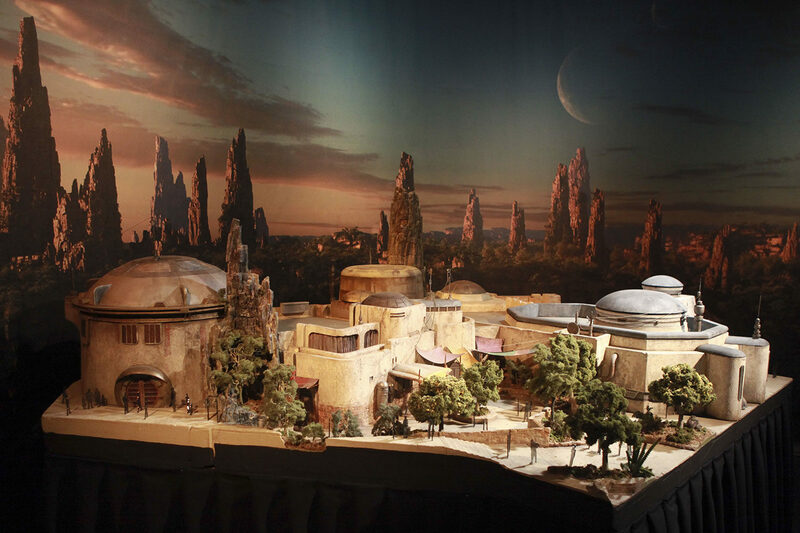 We have a massive update today, with a brand new exhibit at the Star Wars Launch Bay featuring models and props from The Last Jedi; but there’s also new merchandise now supporting Star Wars Galaxy’s Edge, which lands in 2019. 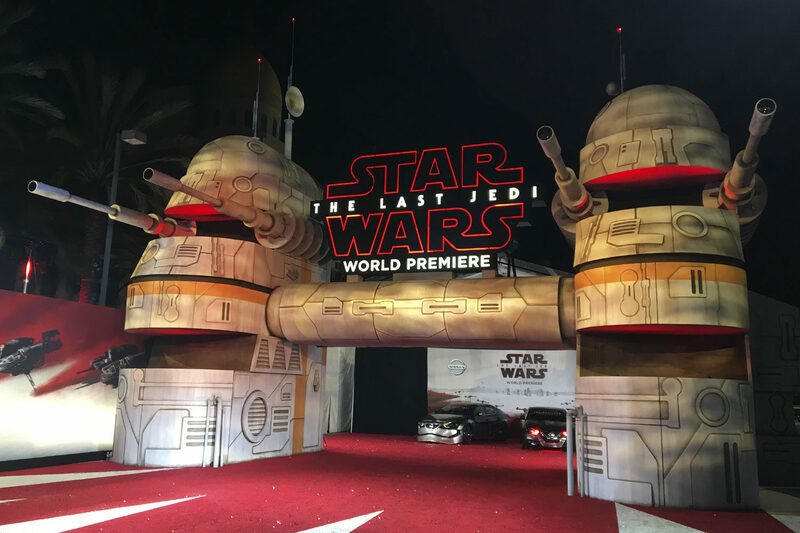 We’ll get into all of that and more, and we’ll close some photos taken during The Last Jedi World Premiere in Los Angeles. 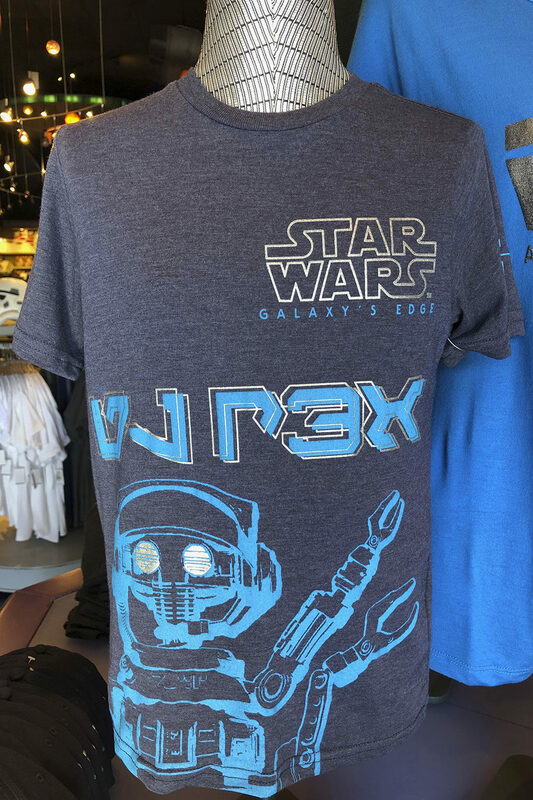 At Disneyland, it’s not just the rides and shows that guests visit time and time again for, but it’s the food and merchandise. 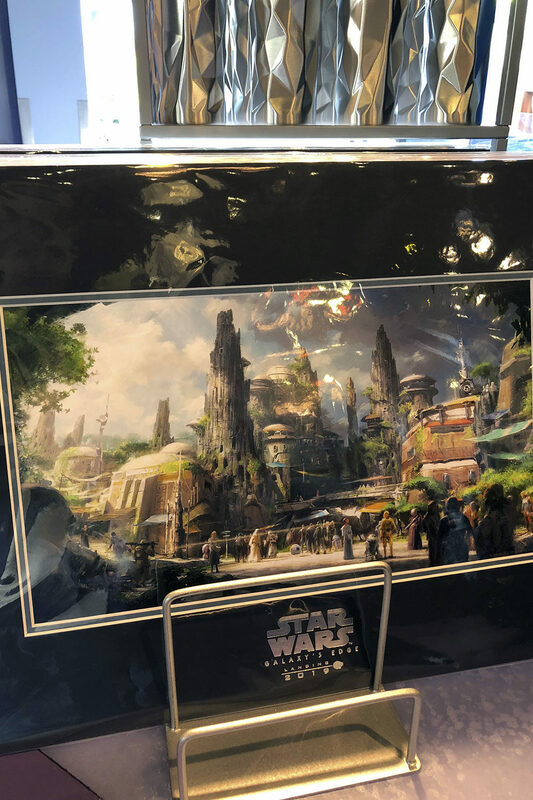 No where else celebrates this better than the Disney Parks with a brand new Popcorn Bucket that has fans scrambling and waiting in long lines. 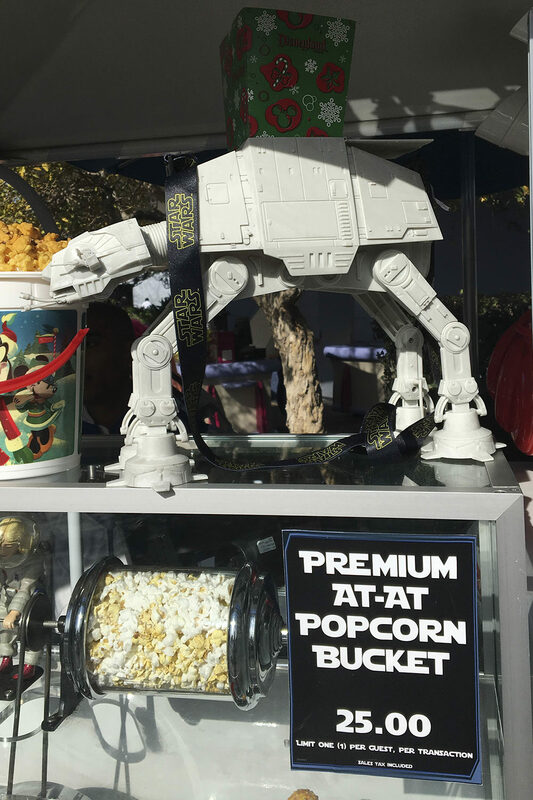 In 2015, we saw the TIE Fighter Popcorn Bucket but this year, it’s the AT-AT Imperial Walker. 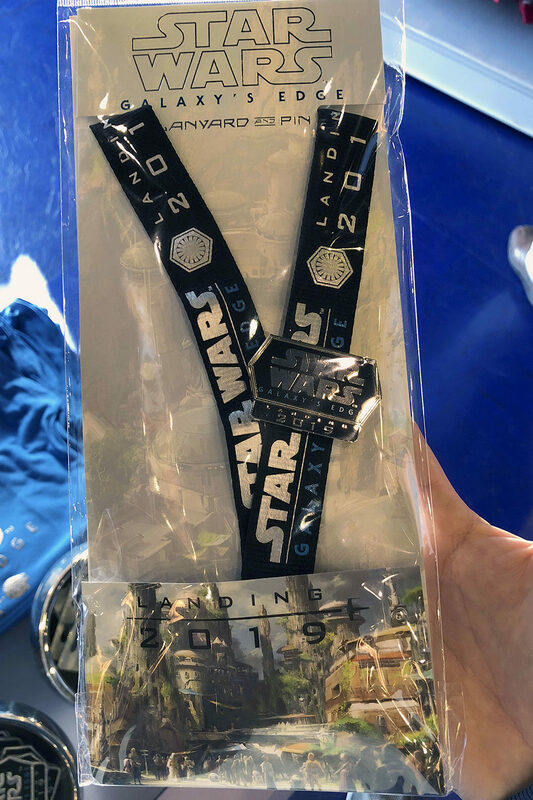 Priced at $25, this fully articulated AT-AT carries a box of Popcorn, but you’ll need to hang it around your neck for the entire day. 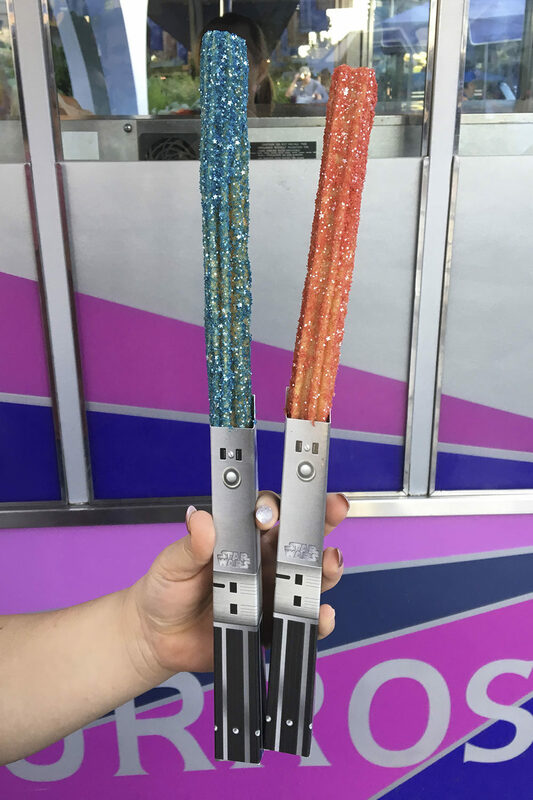 If Churros are more your speed, you can finally get blue and red Churros with lightslaber handle sleeves. 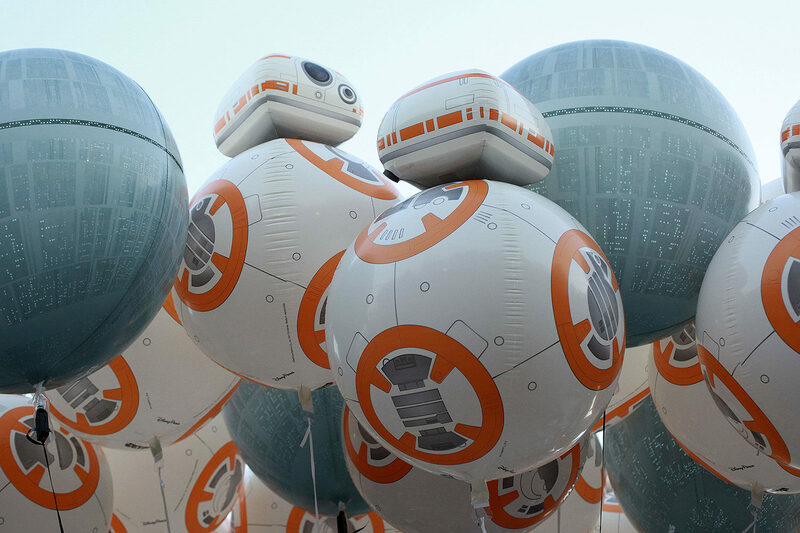 Then we have balloons! 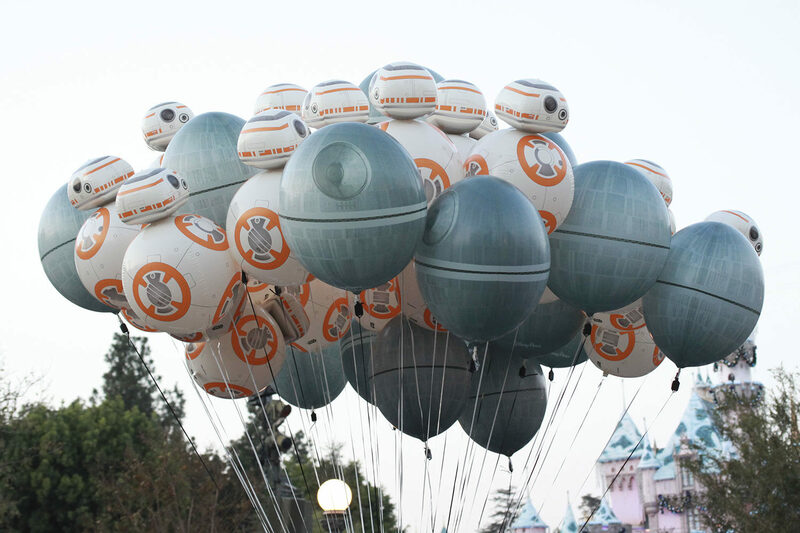 Still available are Death Star balloons but now we also have BB-8 balloons as well. 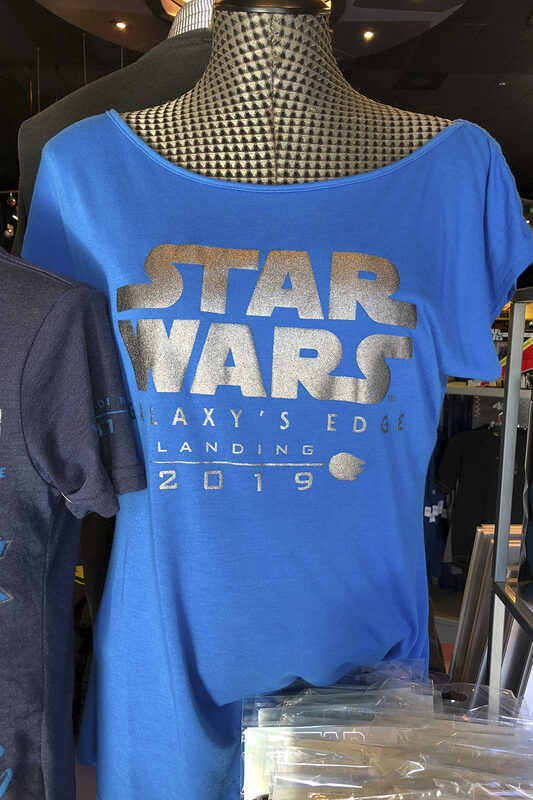 We’re zooming rapidly towards the 2019 launch of Galaxy’s Edge and the Disney Parks Merchandise Team have created a slew of new pieces to celebrate the new land. 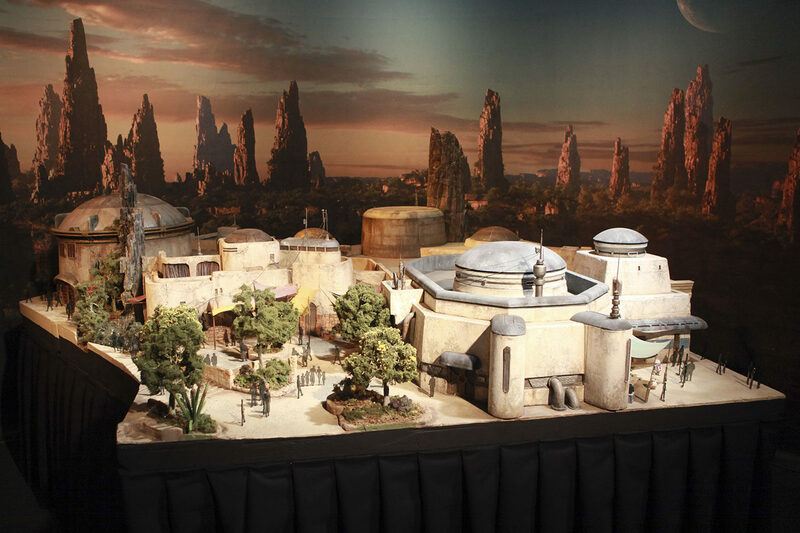 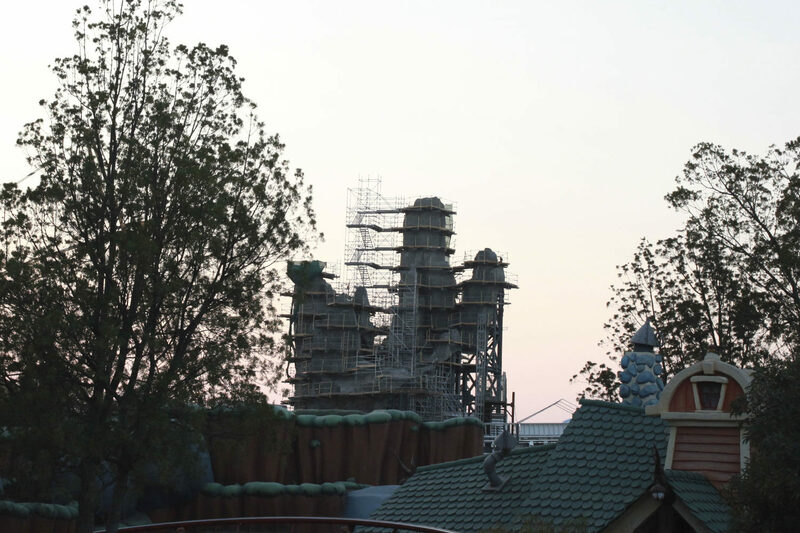 Before we take a peak, here’s a look at Star Wars Galaxy’s Edge emerging over Mickey’s Toon Town. 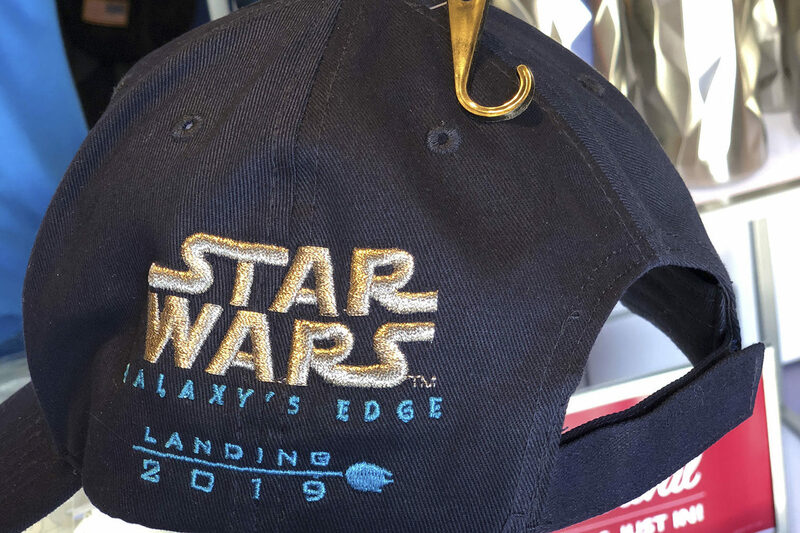 Over at StarTrader and the Launch Bay shops in Tomorrowland, you’ll find hats, concept art, pins for Galaxy’s Edge, but coming sooner than that is SOLO: A STAR WARS STORY. 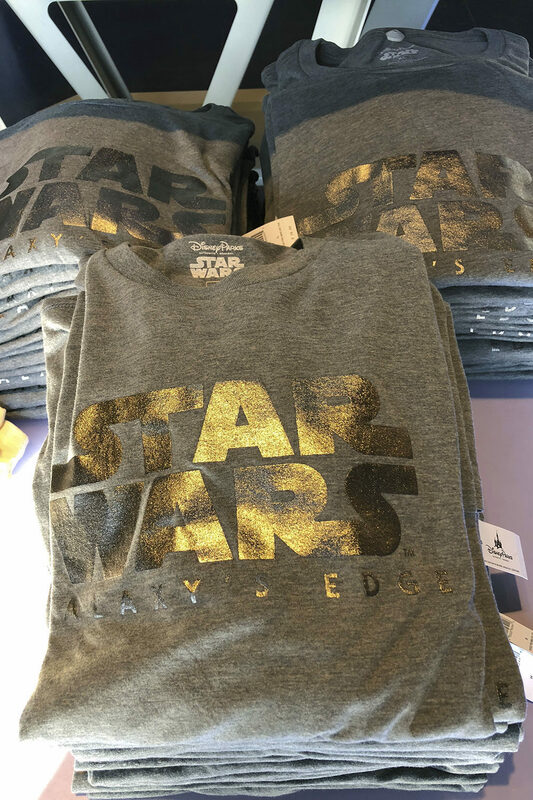 For that, if you buy the tee, 25% of the shirt’s cost will benefit Unicef and Force For Change. 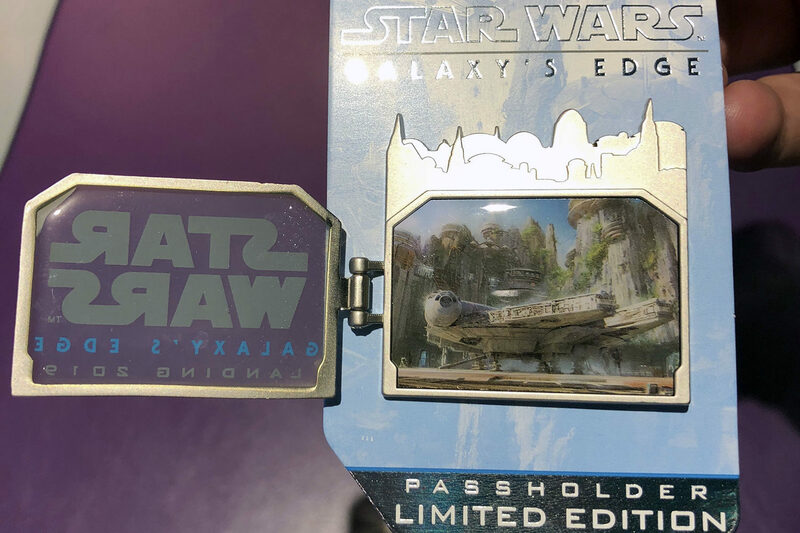 Disney Pin Trading can find these limited edition pins. 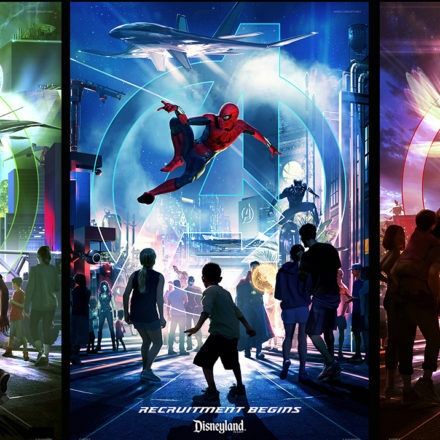 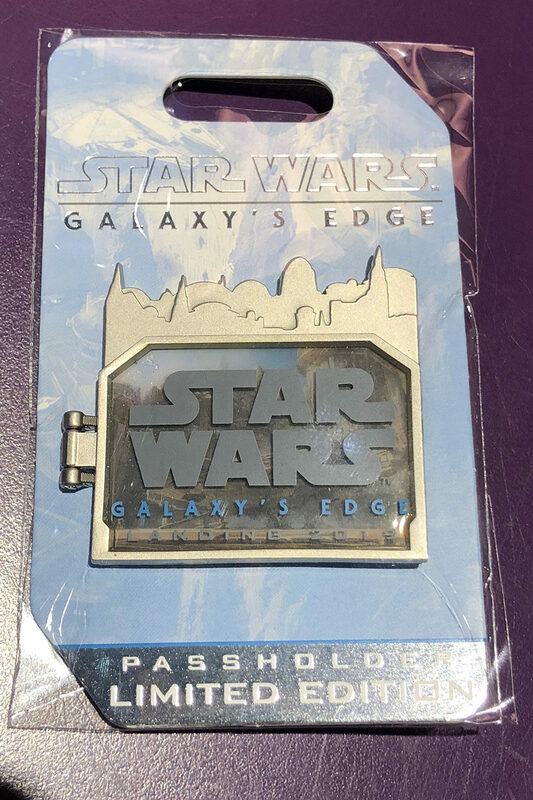 The hinged version is exclusive to Annual Passholders. 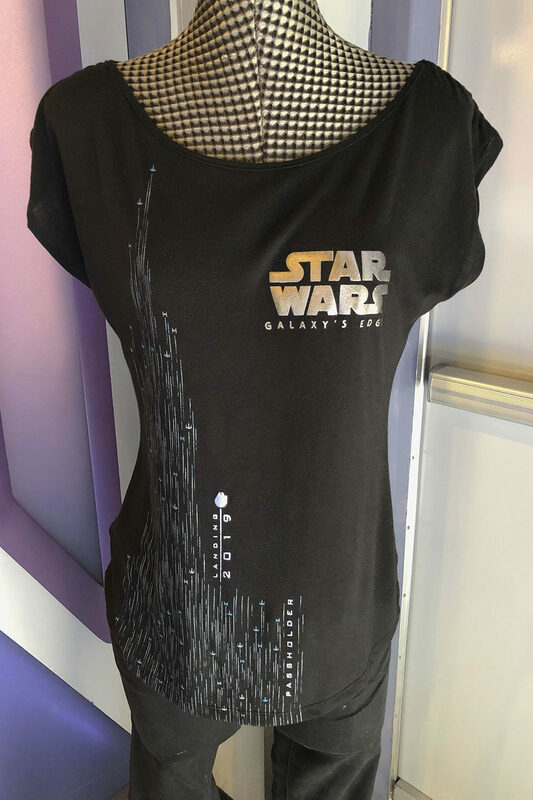 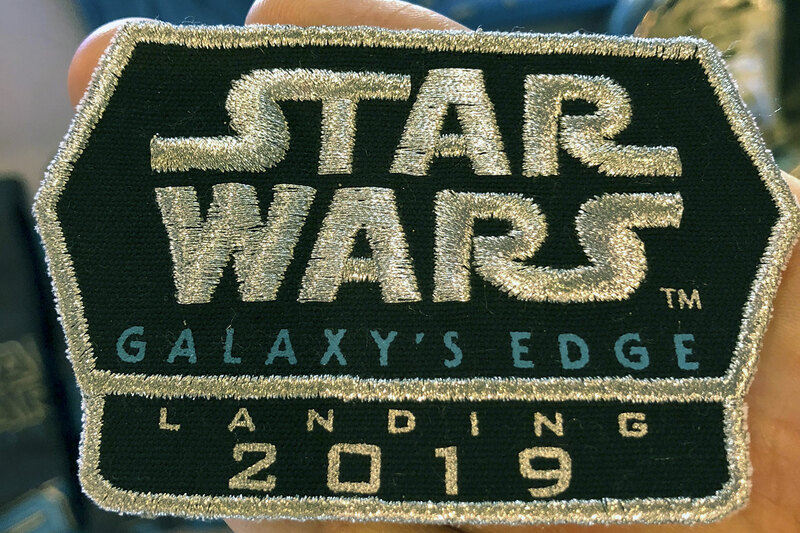 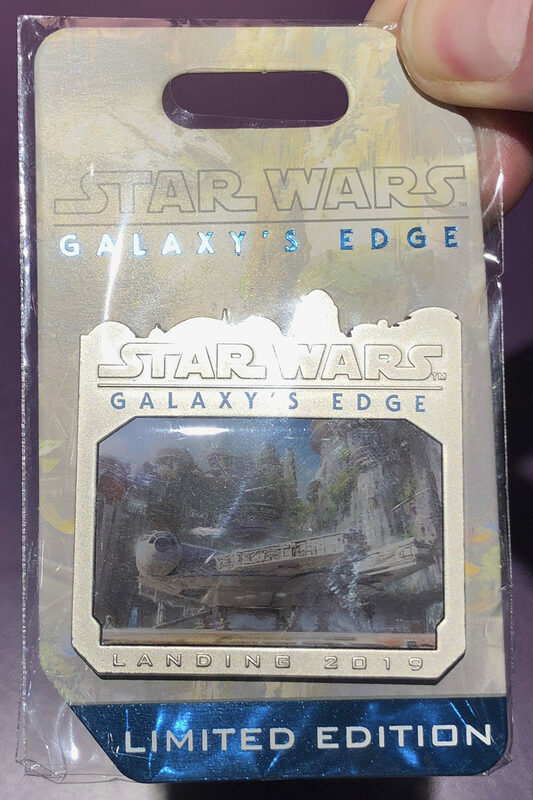 Patches, hats, tees, cups, concept art for Galaxy’s Edge waiting for you! 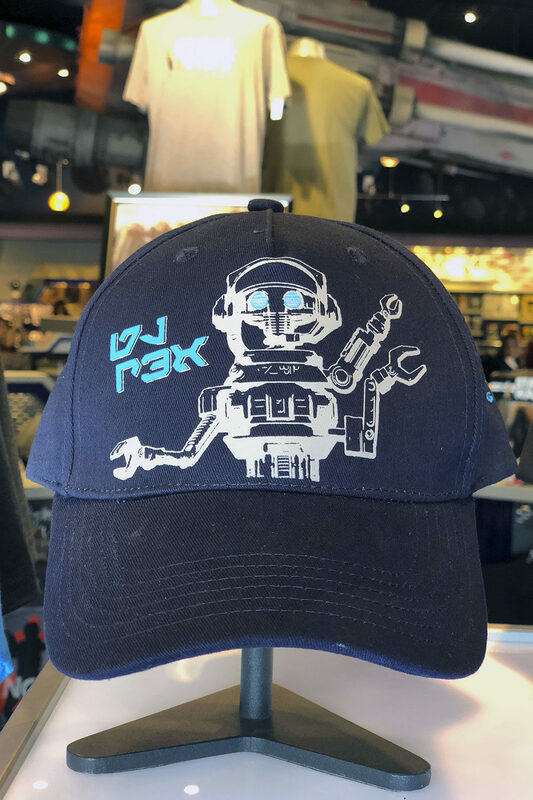 DJ Rex is definitely happening! 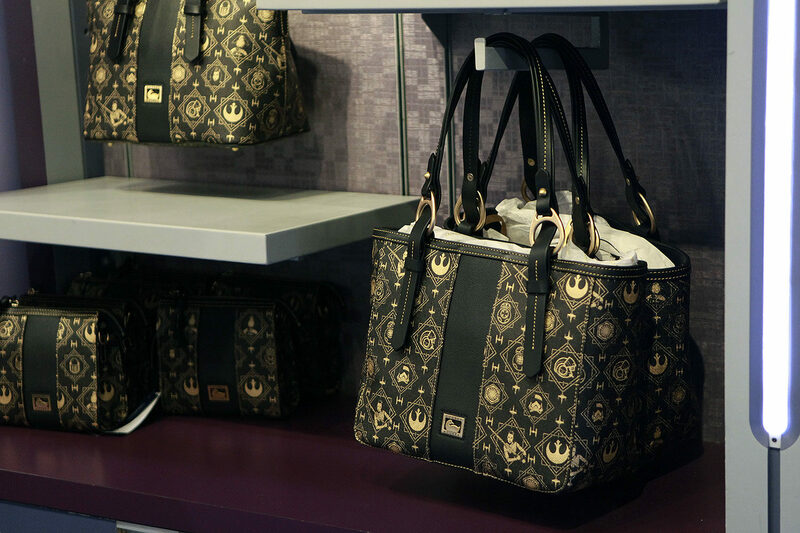 For you bigger spenders, you can pick up these new Star Wars hand bags too..
Star Wars Launch Bay features an updated video with behind the scenes footage of The Last Jedi, Galaxy’s Edge, and the upcoming Virtual Reality experience coming to Downtown Disney. 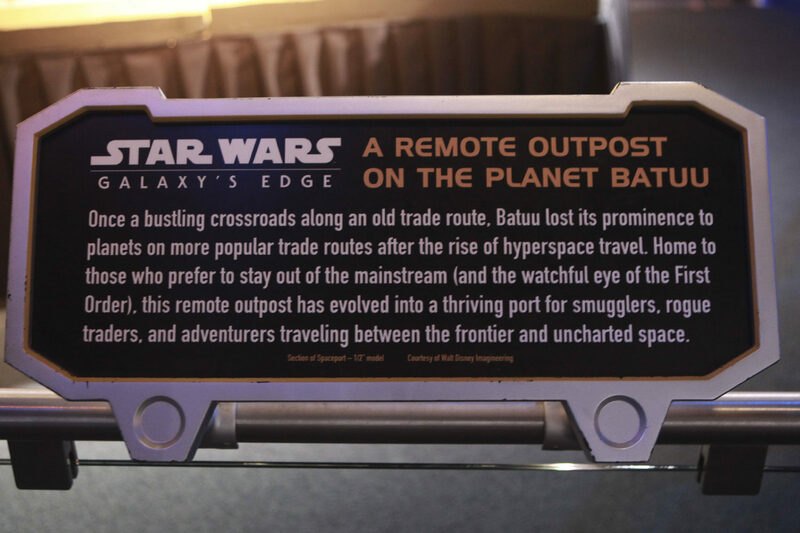 Near by, is a section of of a remote outpost on the planet Batuu. 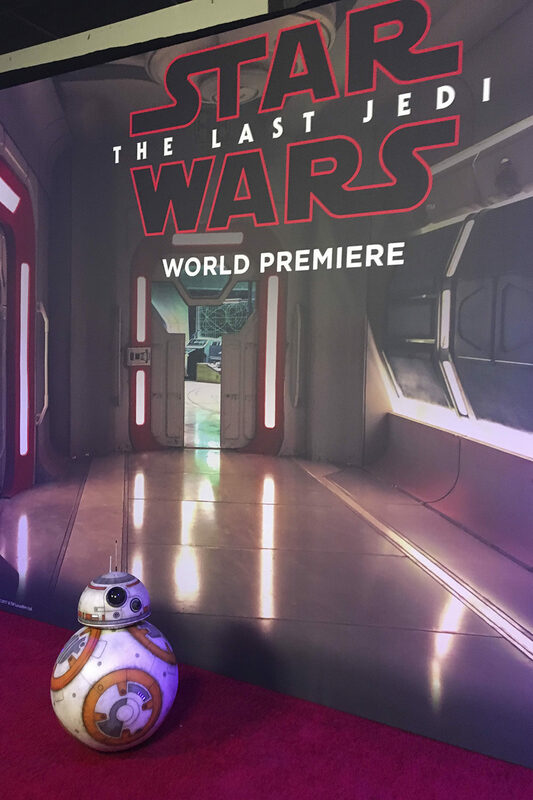 By the entrance of the Launch Bay, the main exhibits have added The Last Jedi. 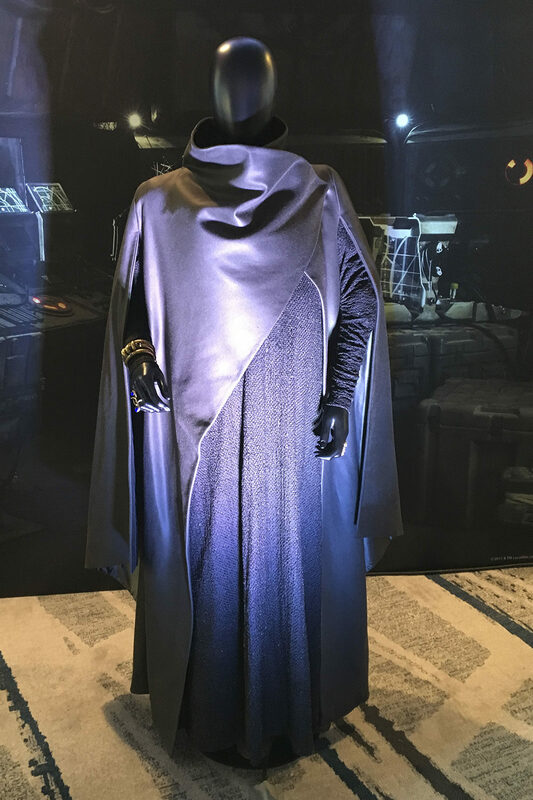 Canto Bight Police Pistol: Canto Bight Police are trained to subdue and arrest without resorting to lethal force – all in an effort to maintain the confidence and comfort of the public. 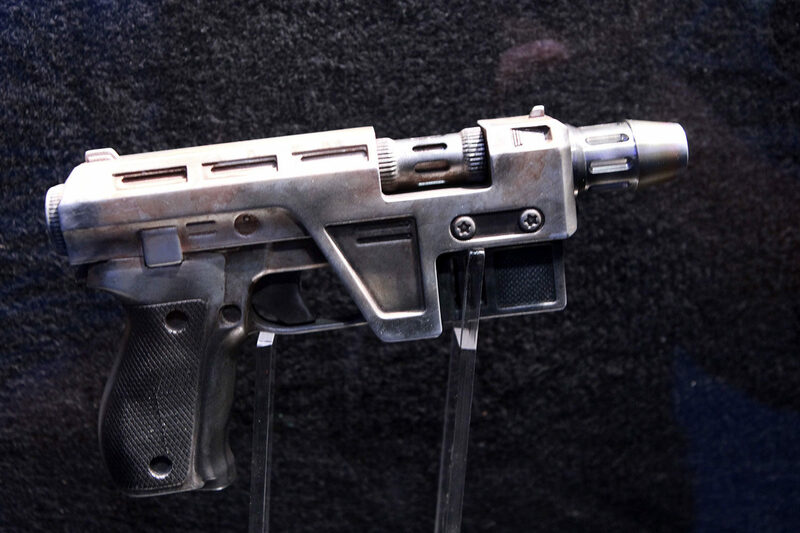 Officers’ blaster weaponry, such as this Relby K-25 pistol, is set to stun by default. 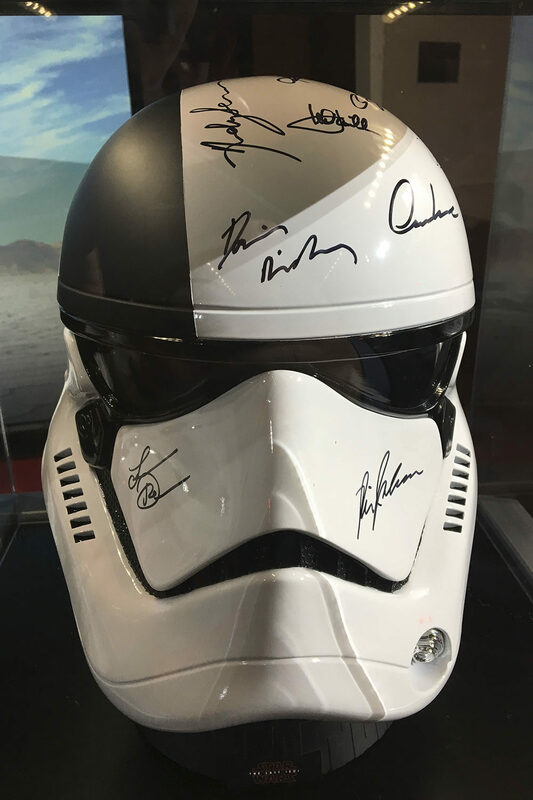 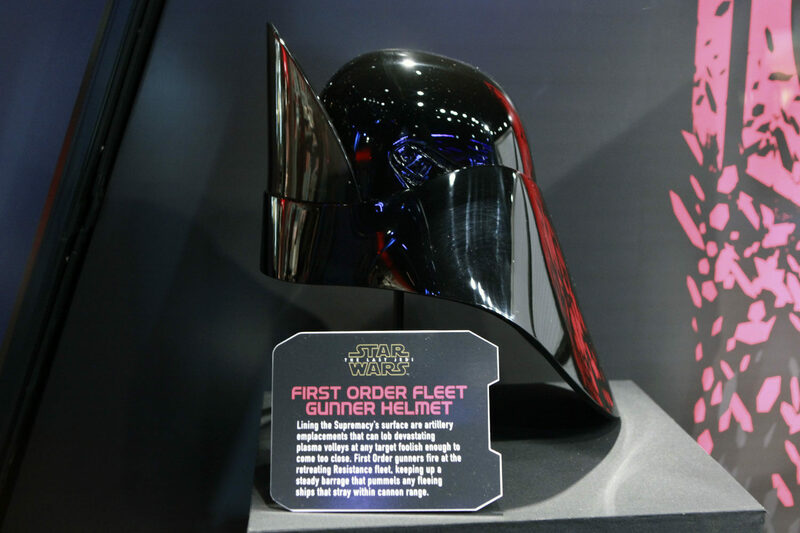 First Order Fleet Gunner Helmet: Lining the Supremacy’s surface are artillery emplacements that can lob devastating plasma volleys at any target foolish enough to come too close. 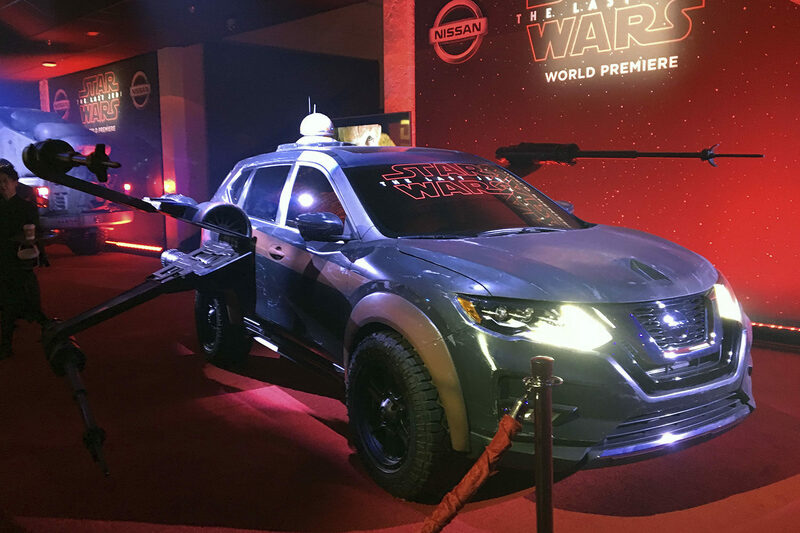 First Order gunners fire at the retreating Resistance Fleet, keeping up a steady barrage that pummels any fleeing ships that stray within cannon range. 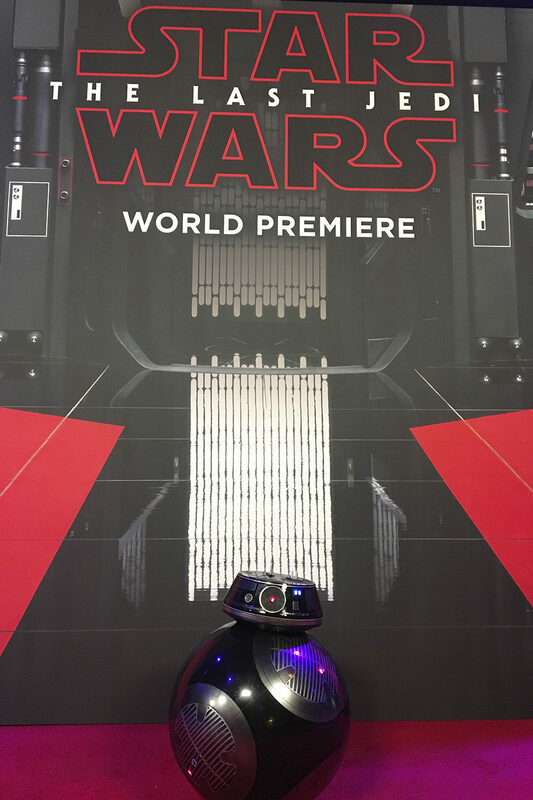 First Order Dreadnought – The duty of laying waste to the Resistance base on D’Qar falls to the Fulminatrix, a Mandator IV-class Siege Dreadnought. 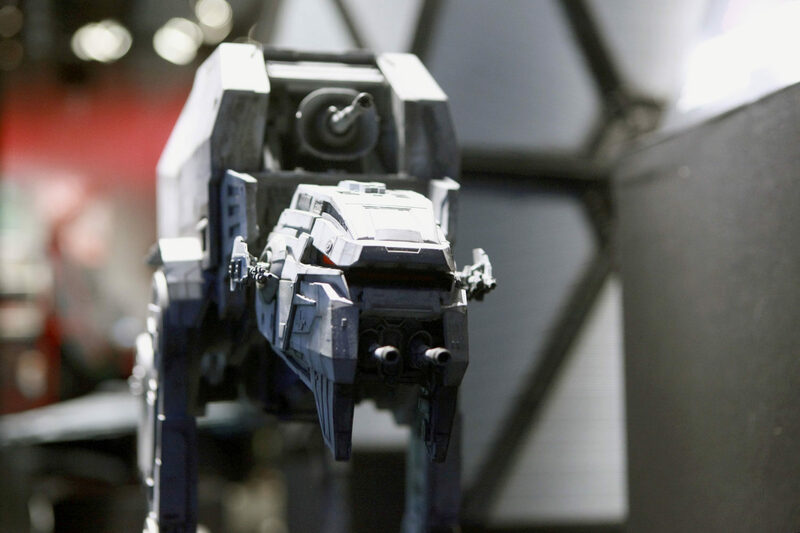 The tower surface of this enormous craft hangs heavy with orbital-bombardment cannons, which can punch through planetary shields and tear apart capital ships. 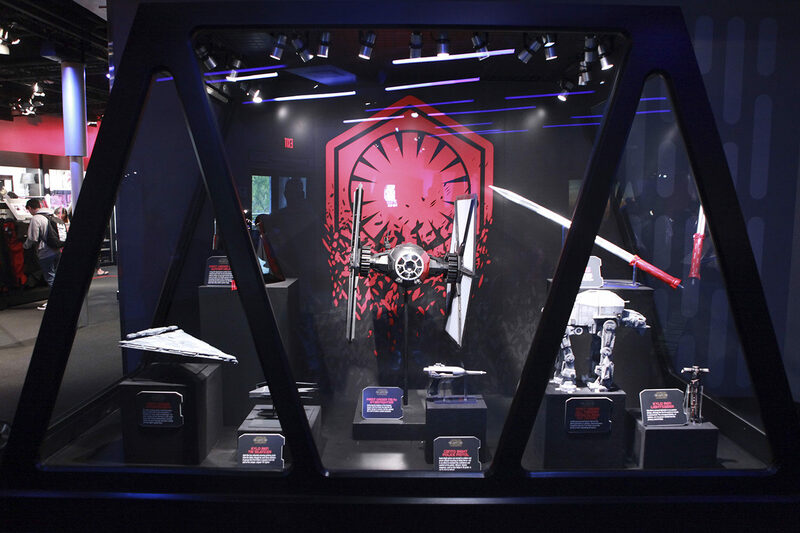 Kylo Ren TIE Silencer – Kylo Ren has inherited amazing piloting skills from his father, though he uses these abilities to pursue the First Order’s enemies from the seat of his unique, angular TIE fighter. 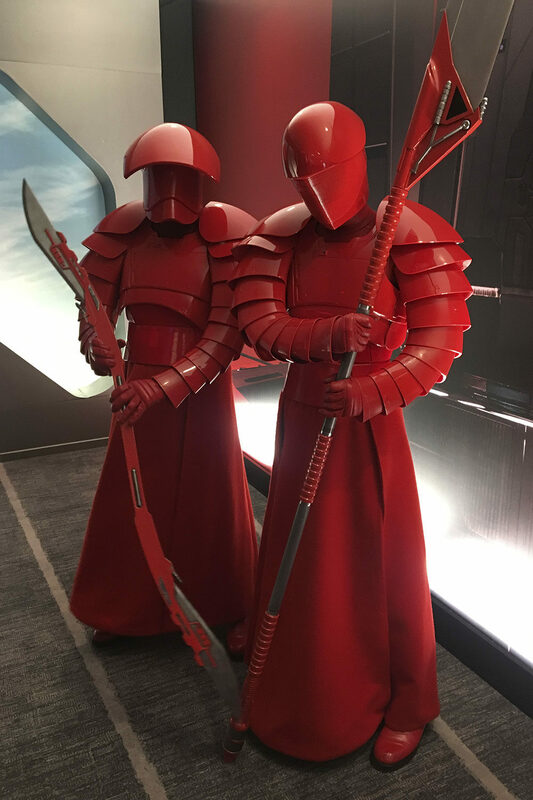 Praetorian Guard Whip – Supreme Lader Snoke’s elite Praetorian Guards carry weapons that are high-tech versions of unpowered analogs found in primitive societies across the galaxy such as this Bilari chain whip. 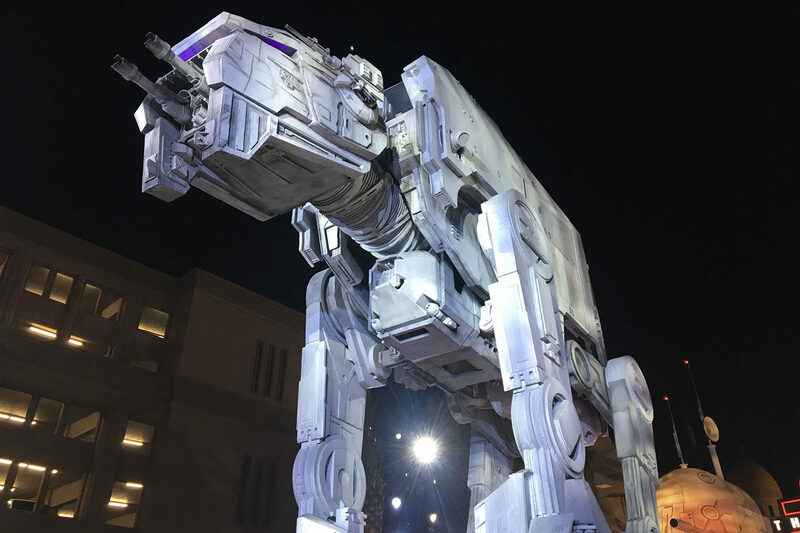 First Order All terrain Megacaliber Six (AT-M6) – Lumbering armored beasts that are the latest generation in walkers, these enormous transports help the First Order secure the worlds of their expanding territories. 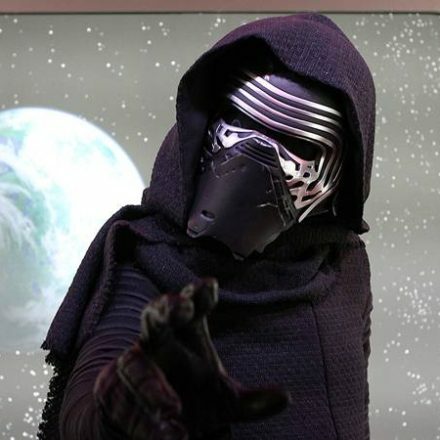 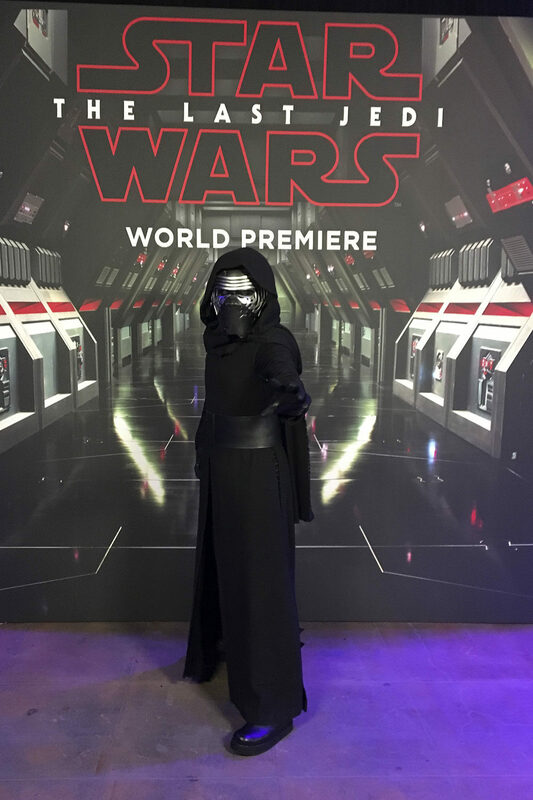 Kylo Ren’s Lightsaber – Kylo Ren’s unusual lightsaber is an ancient design, although the one he carries is recently constructed. 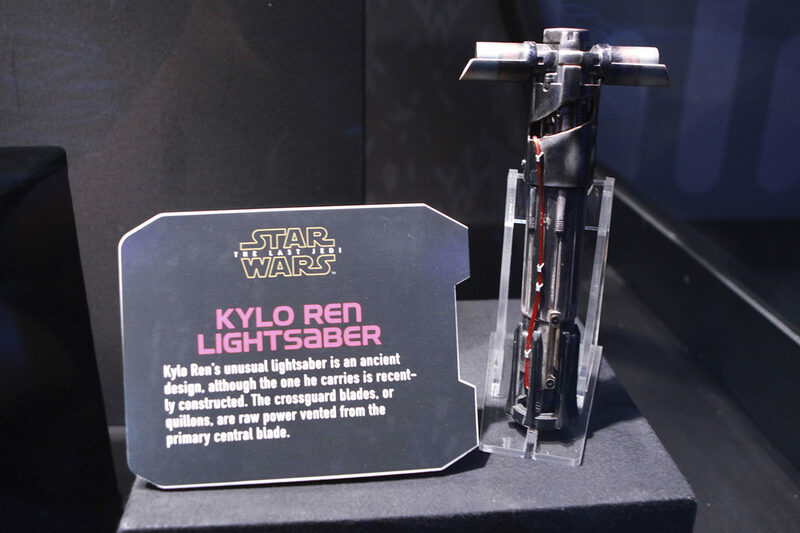 The crossguard blades, or quillons, are raw power vented from the primary central blade. 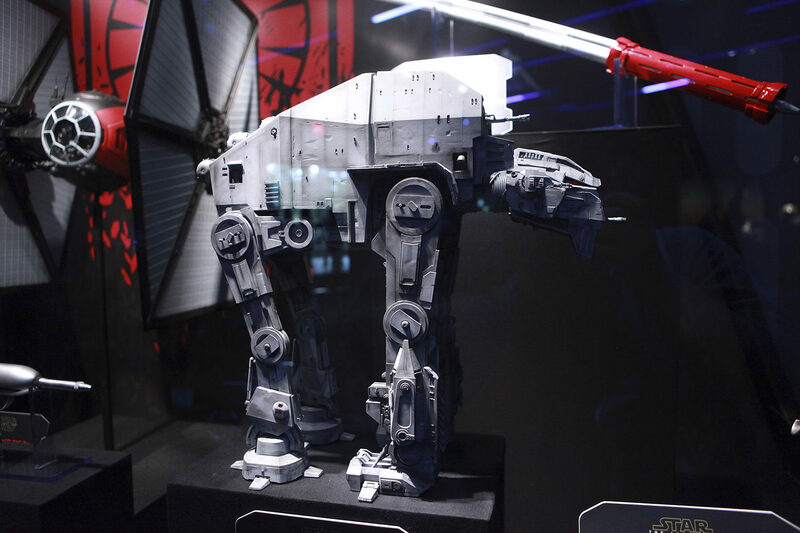 Resistance Ski Speeder – An older design pre-dating the Rebel Alliance, these low-attitude, high power ski speeders use a stabilizer strut to keep balance when zipping across alien terrain. 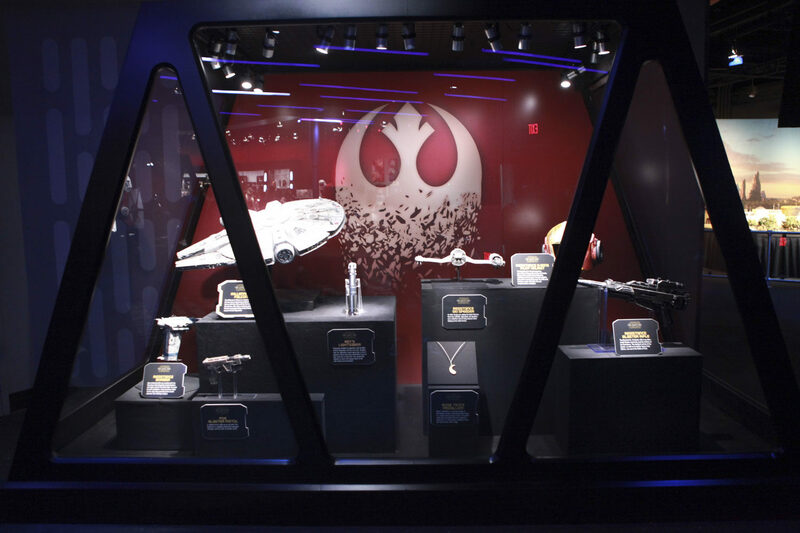 Rose Tico’s Medallion – Rose’s medallion is a stylized ensign of the Otomok system, representing Hays Minor. 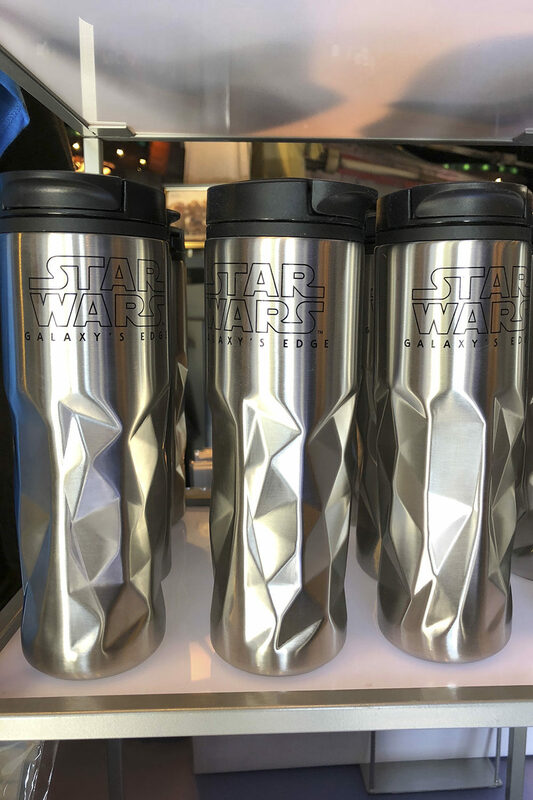 It is made of pure Haysian smelt, a transition metal with incredibly efficient conductive properties. 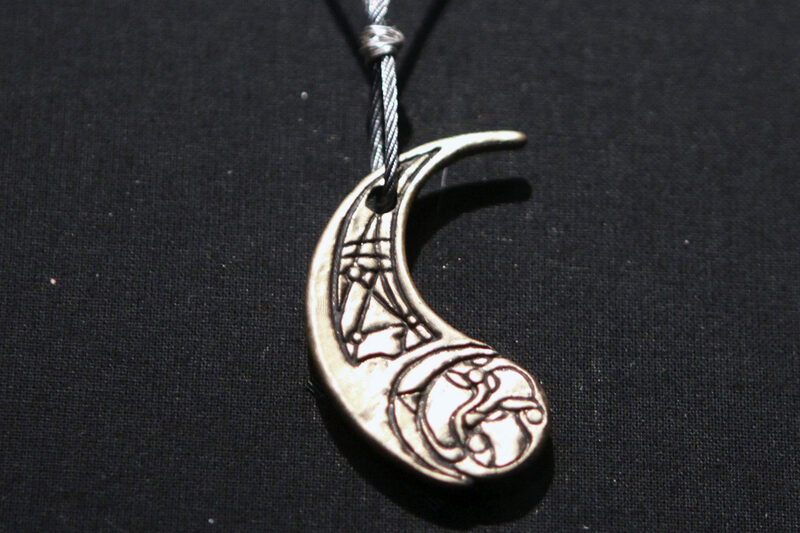 It is the partner medallion of the one worn by her sister, Paige. 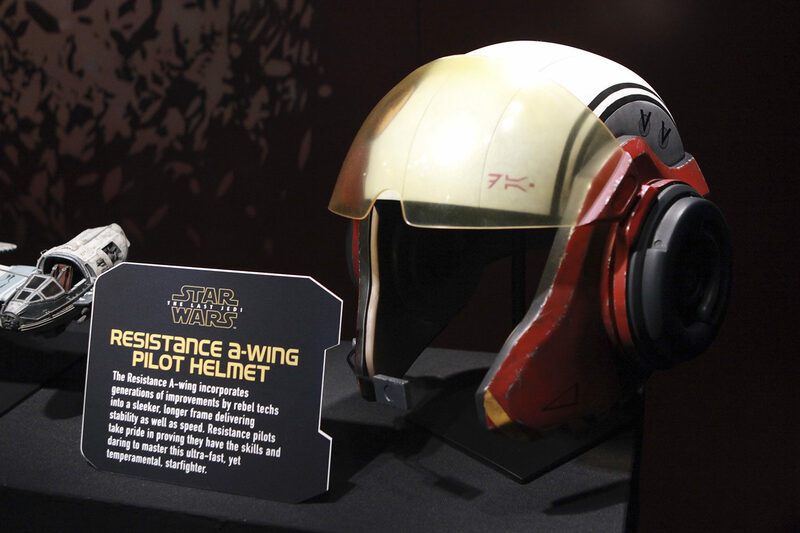 Resistance A-Wing Pilot Helmet – The Resistance A-wing incorporates generations of improvements by rebel techs into a sleeker, longer frame delivering stability as well as speed. 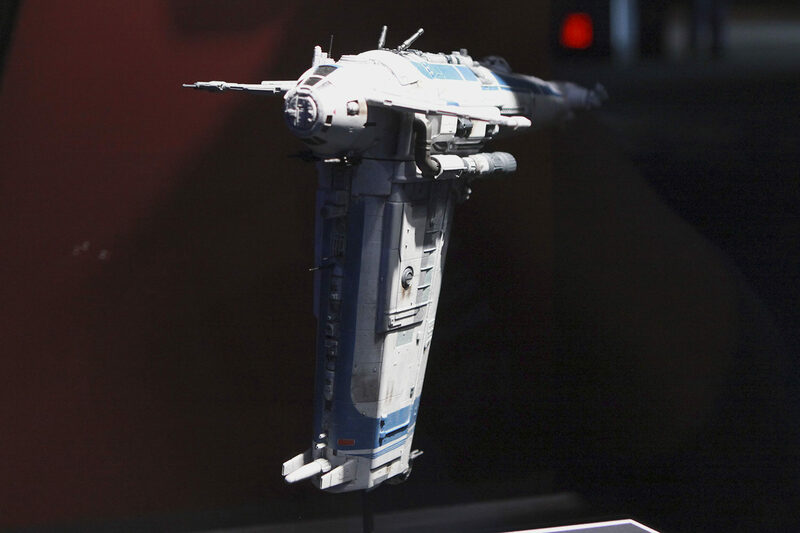 Resistance pilots take pride in proving they have the skills and daring to master this ultra-fast, yet temperamental, starfighter. 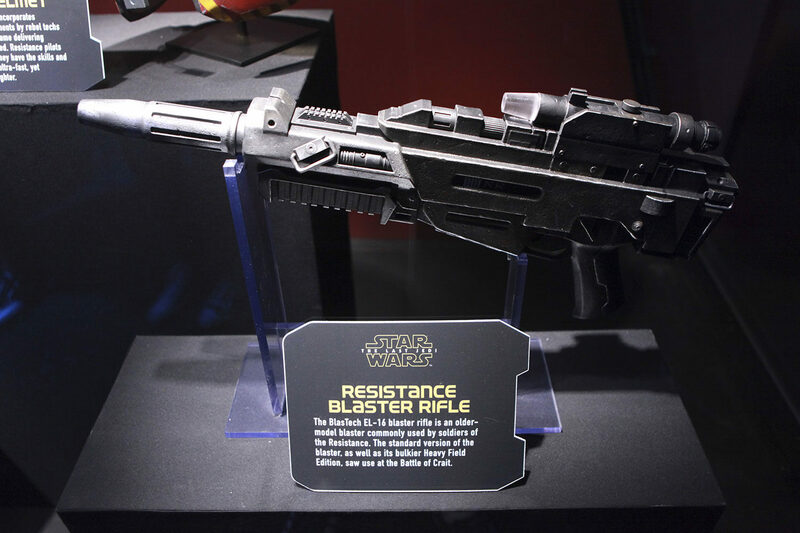 Resistance Blaster Rifle – The BlasTech EL-16 blaster rifle is an older model blaster commonly used by soldiers of the Resistance. 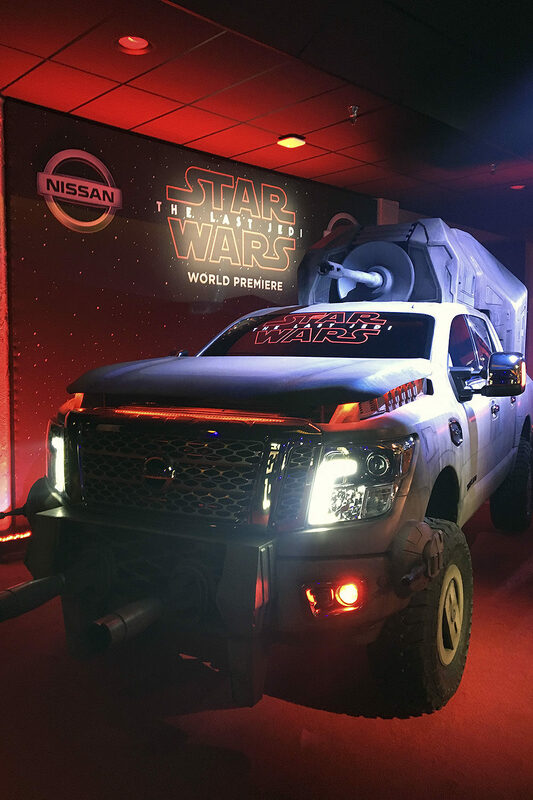 The standard version of the blaster, as well as its bulkier Heavy Field Edition, saw use at the Battle of Crait. 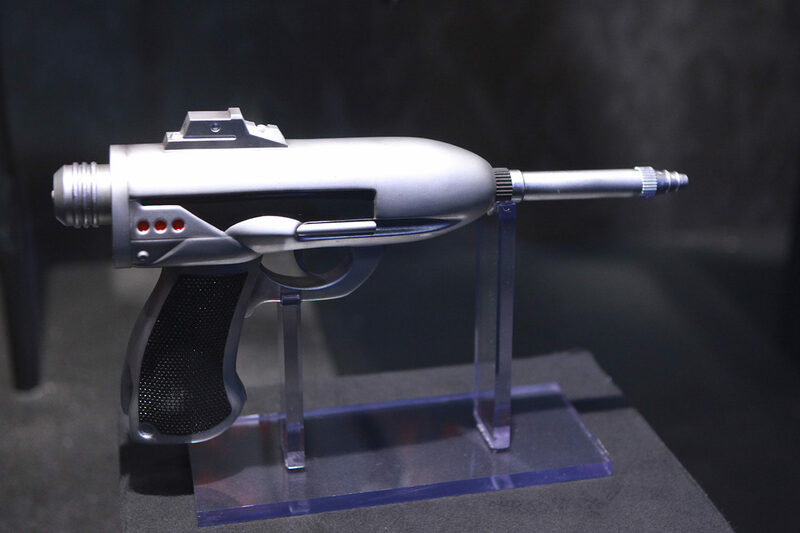 Poe Blaster Pistol – In addition ot his skills as an ace pilot, Poe Dameron is a capable infantryman equipped with gear such as a Glie-44 blaster pistol. 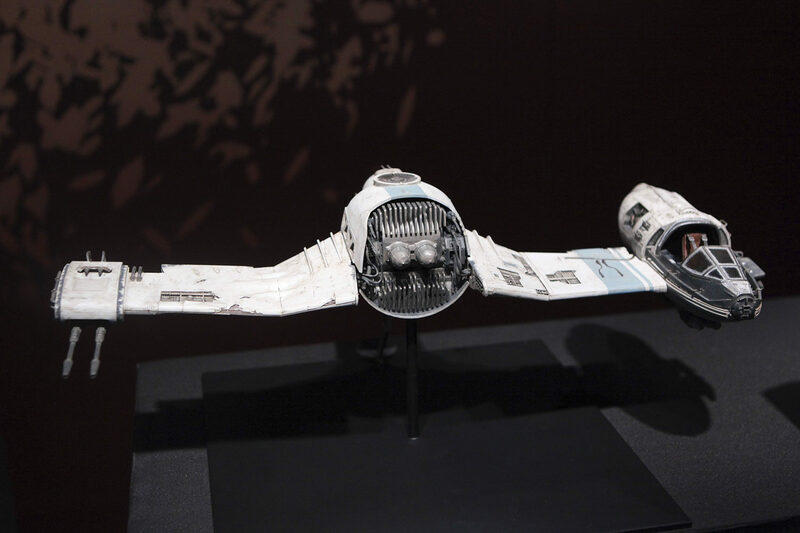 Resistance Bomber – Now reinforced with new combat craft, the Resistance fleet dispatches hardy bombers into battle with the First Order fleet. 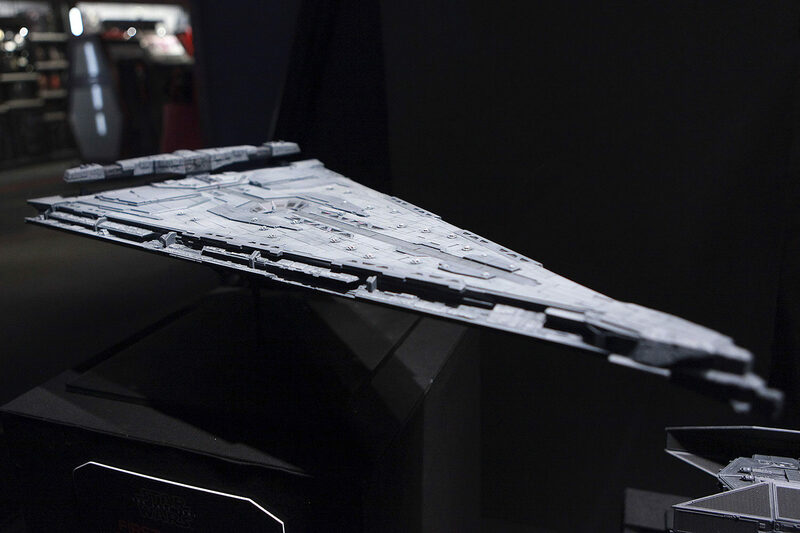 Escorted by swift starfighters, these munitions-laden carrier ships drop powerful proton bombs onto their Star Destroyer targets. 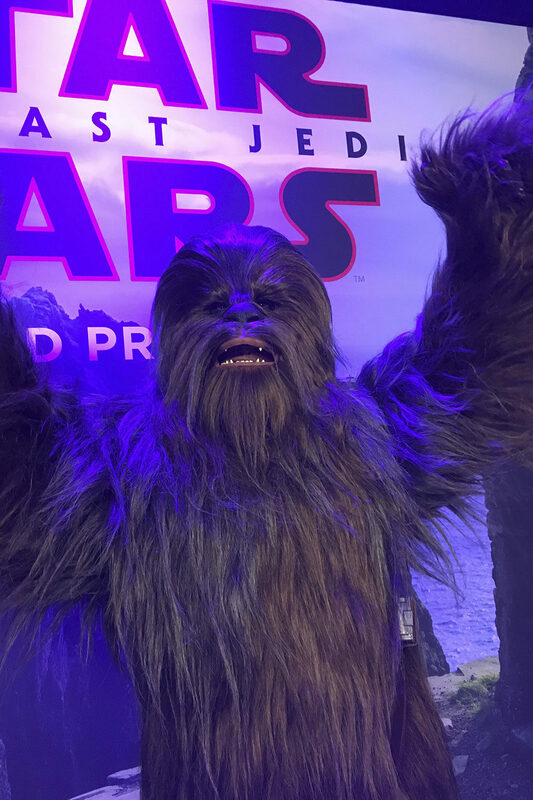 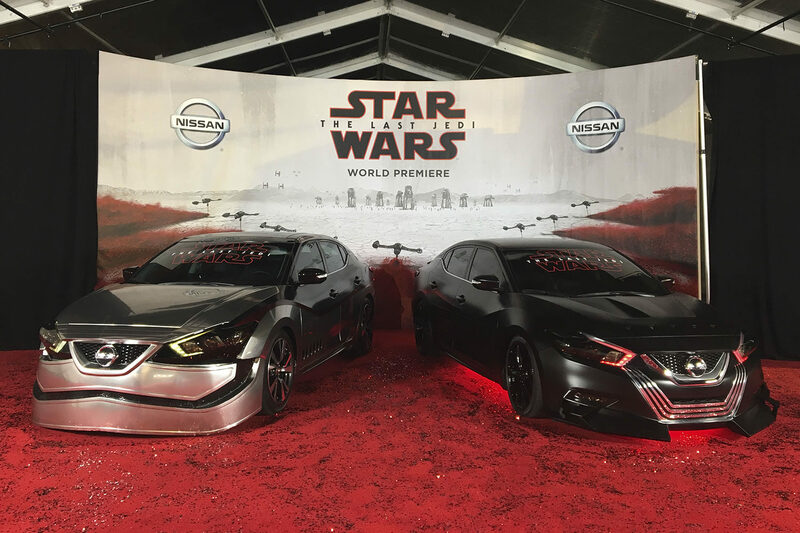 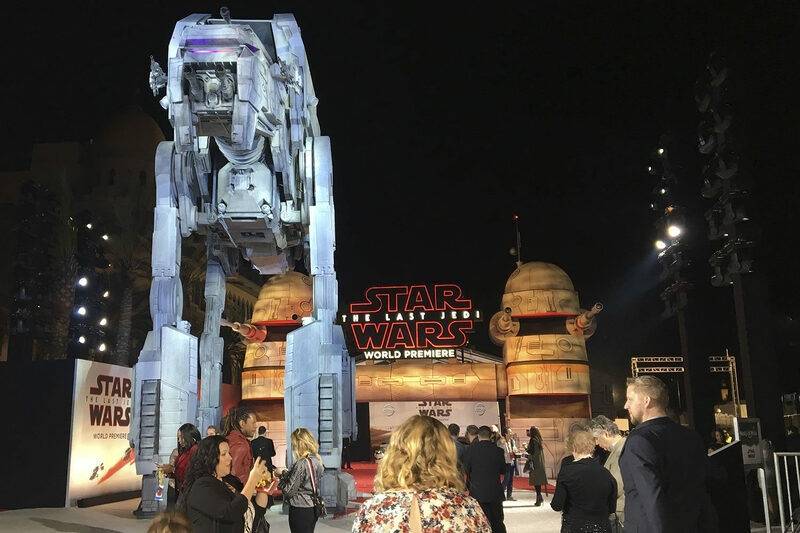 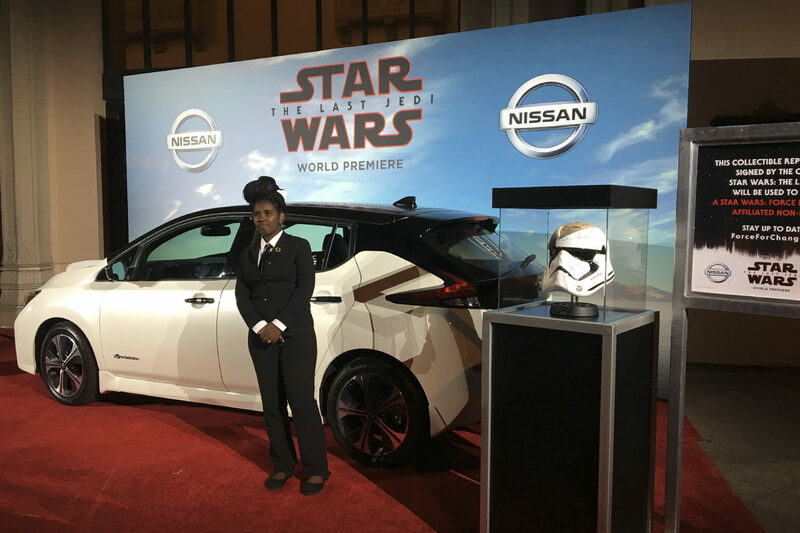 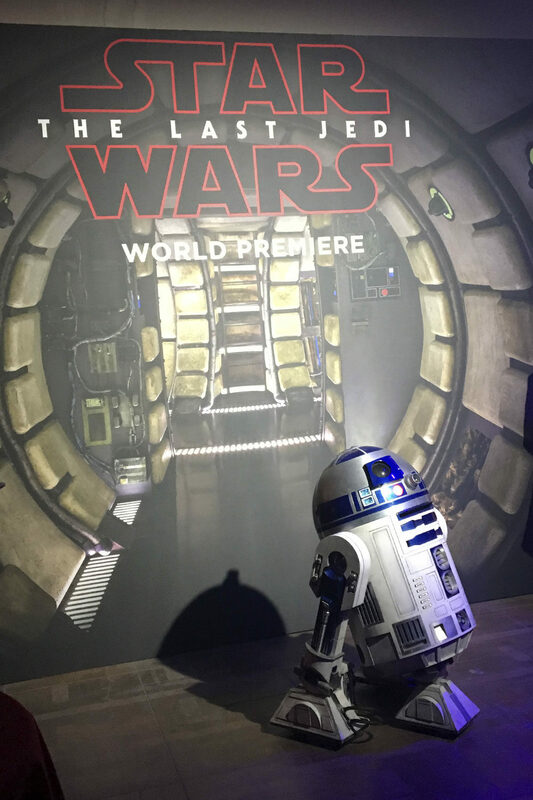 Closing out this photo update, a few highlights from the Star Wars World Premiere and the Press Conference. 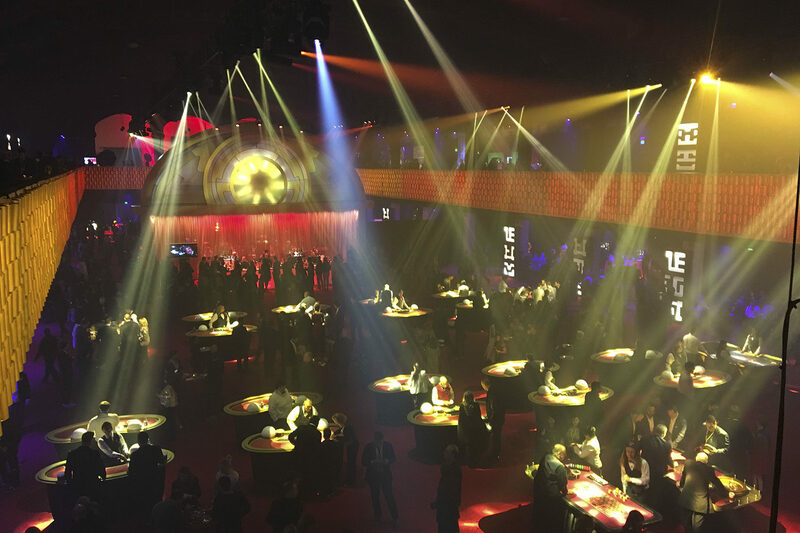 The after party was Canto Bight themed. 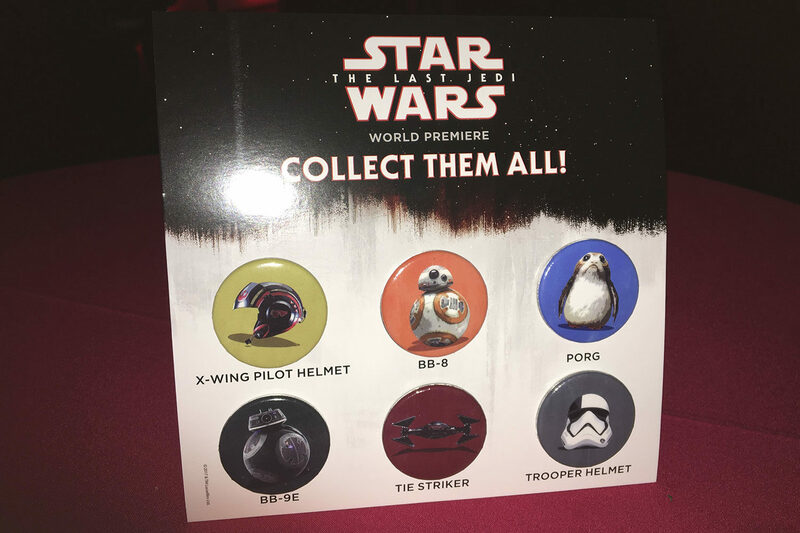 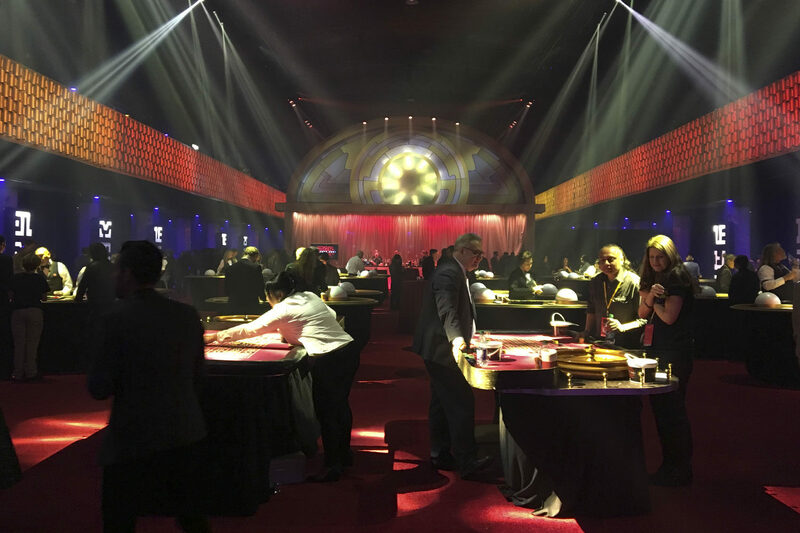 Guests had to collect all six buttons by visiting the various tables. 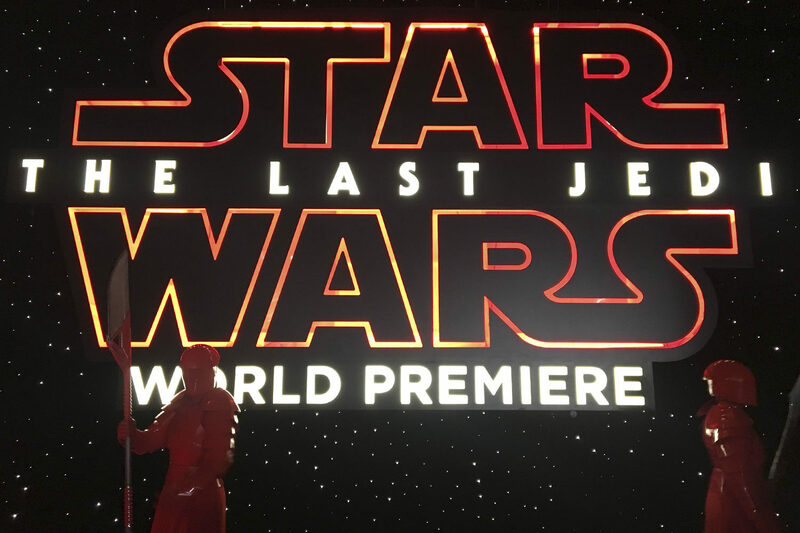 At the Press Conference, costumes of some of our favorite Star Wars characters were ond display, as well as a few Praetorian Guards.